The intent of this study was to examine supportive care needs and preferences among young adult cancer survivors. Eight hundred seventy-nine young adults aged 18–39 years at time of study and diagnosed with cancer between the ages of 15–35 completed an online survey. Questions assessed the extent to which subjects had utilized various information and supportive care services and/or expressed a desire to use those services either now or in the past. Upwards of 60% of respondents expressed a desire or need for age-appropriate cancer information, information about diet, exercise, nutrition, complementary and alternative health services, infertility information, mental health counseling, and camp or retreat programs for young adults. In most cases, more than 50% of respondents indicated that their needs for information and services have been unmet. In addition, unmet needs were more likely reported by respondents who were younger at age of diagnosis, of poor physical health status, and less likely to be advanced in work, school, or a committed/marital relationship. Other significant differences in unmet need were observed across sociodemographic and health status variables. 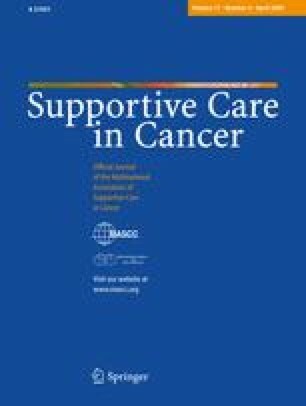 Findings suggest a need to enhance the provision of supportive care services to adolescent and young adult cancer survivors along a continuum of care, from diagnosis through treatment and on to off-treatment survivorship. The author wishes to thank the Lymphoma Research Foundation (LRF) for their financial support and to LRF staff members Ms Jennifer Mills, MSW, and Ms Tammy Weitzmann, MSW for their contributions of time and effort to this work. Thanks also to Vickie Yang, Casey Williamson, Minhdan Ta, and Marisa Agama for their contributions to the preparation of this manuscript.